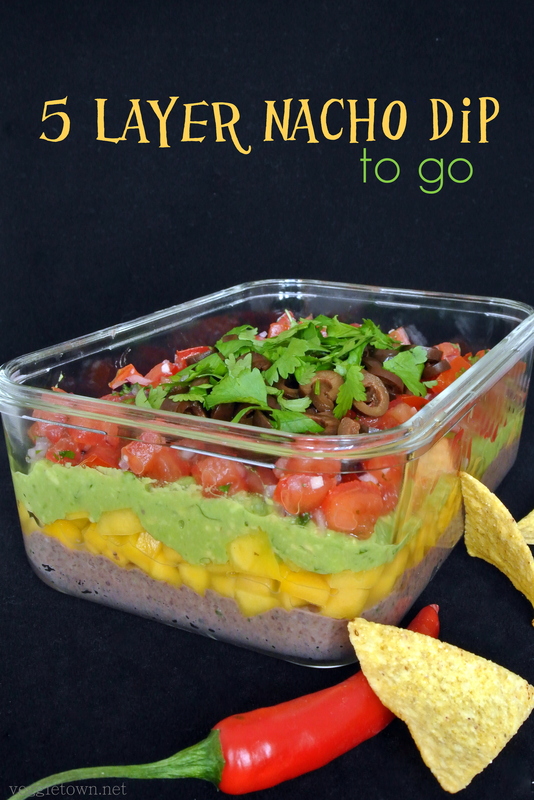 This 5 Layered Nacho Dip is gorgeous. Five different layers, inspired by the Mexican kitchen, come together in a beautiful blend of colour. Every layer is great on its own but when combined the flavour is incredible. 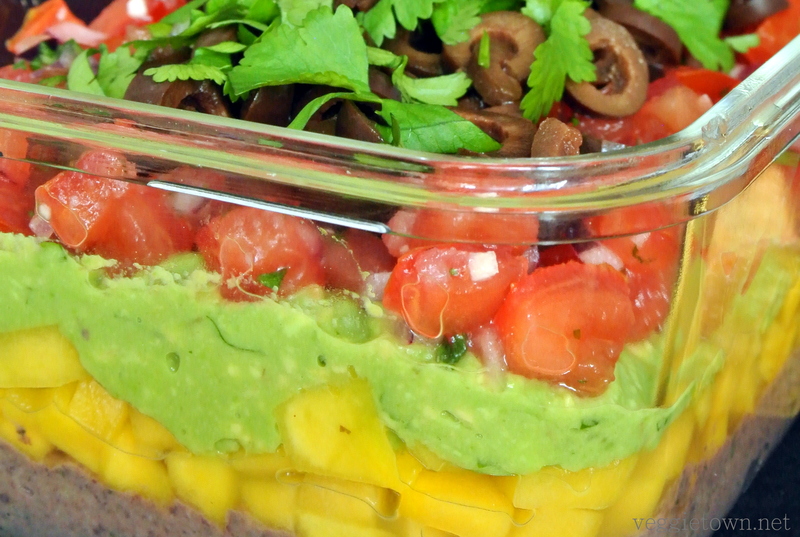 The dip is best presented in a glass bowl or, as in the picture above, in a food container made of glass. The latter alternative is perfect for potlucks or picnics. Just put a lid on and you are good to go! My 5 Layer Dip is vegan and for everyone to enjoy. If you feel creative don’t be afraid to add more layers or to swap one of the layers for something else. The possibilities are endless. Beside nachos it tastes great together with typical Mexican cuisine or why not together with my all time favourite, stuffed peppers. 1. Chop onion and garlic. Heat the oil and fry the onion until soft then add garlic and spices. After a minute you stir in the black beans, salt, fresh cilantro, water and lime juice. Let it cook for about five minutes on low heat. Remove from heat and mix everything into a smooth dip. 2. Mash the avocado pulp with a fork. Add garlic (pressed), lime juice, chopped fresh cilantro and salt. Blend it and set aside. 3. Cut the tomatoes in halves and remove the seeds. Dice the tomatoes in smaller pieces. Add finely chopped garlic, chili and red onion. Stir in the lime juice, salt and chopped fresh cilantro. Set aside. 4. Dice the mango pulp in smaller pieces. Blend it with lime juice and agave syrup. Set aside. 5. Cut the deseeded olives in slices. Spread the first layer of the dip in a bowl. Continue with the second layer, then the third and so on. Garnish with fresh cilantro and serve together with nachos. Enjoy! This entry was posted in Sauce Dressing and Dip, Side Dish, Sweets and Snacks. Bookmark the permalink.